2014 Kawasaki Brute Force 750 4x4i EPS. Picture credits - Kawasaki. Submit more pictures. 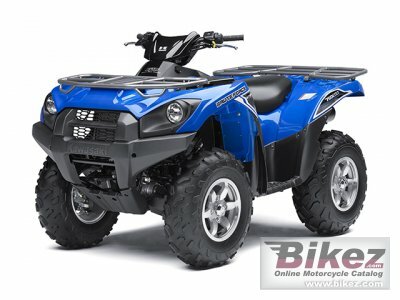 When Kawasaki�s flagship sport utility ATV includes an Electric Power Steering (EPS) system, the result is an unbeatable ride that we like to call the 2014 Brute Force� 750 4x4i EPS. However, experienced riders from coast to coast may simply refer to it as a dream on four wheels. When Kawasaki�s industrial engineers mated an EPS system that makes steering almost effortless to a seriously powerful 749cc V-twin, they knew they were building an ATV for the history books. Ask questions Join the 14 Kawasaki Brute Force 750 4x4i EPS discussion group or the general Kawasaki discussion group.